Transit advertising is one of the most powerful methods of outdoor advertisement. 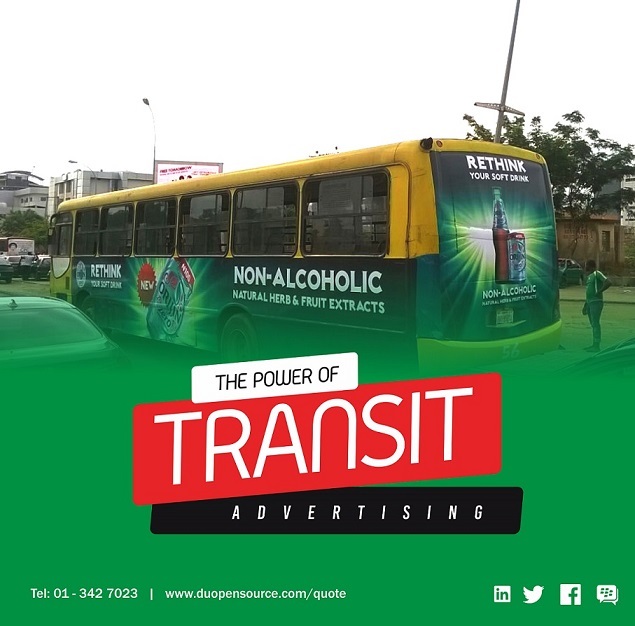 Most of advertisers especially small businesses don’t know what exactly transit advertising is all about and how they can leverage on the benefits and advantages the medium offer. Some years ago, our company proposed transit advertisement to a global payments technology company for one of its products in Nigeria. The company thought it was a nice idea and referred our marketing team to their media agency in Nigeria. After an inspiring and convincing presentations, we thought it was, we were told the product is a premium and niche product and do not consider transit media as a suitable communication platform for it. Regardless of the outcome, we still thanked them for the opportunity. We knew a few things did not connect with our presentation, perhaps the decision maker did not see valuable reasons in our presentations to put the product campaign on transit buses, something they haven’t done before then or he wasn’t convinced with our value propositions. 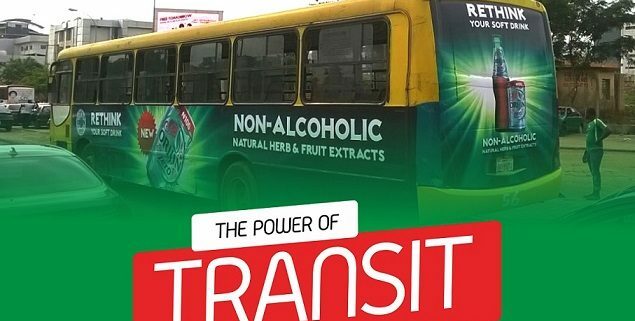 A few months later the same product campaign was on several mass transit buses virtually on all the major routes in Lagos metropolis. Though the project was eventually executed by another vendor, we were satisfied they finally bought the idea. Since then the product campaign has remained consistent on transit buses. Some advertisers and media buyers deny their brands and clients the benefits of transit advertisement due to misconception about the platform. Some advertisers do not know where to buy, what it entails and what make a great transit advertising campaigns. Whose OOH agency has the requisite set skills and team to deliver impressive transit campaigns? All of these questions will be answered in this article. Let’s come to our first question of what actually is transit advertising? Transit advertising is an alternative outdoor advertising media installed on the body surface of mass transit buses. Although this site is a large format, it is advisable keep your copy simple. A bold message accompanied by a strong image and branding is the best way to gain maximum response. Light fonts can be hard to read. If you do use a light font make sure there is a high contrast in colour with the background. Transit advertisement campaign print is made of Self Adhesive Vinyl SAV. The SAV material is installed by a trained and experienced installer on the display areas of bus with the help of ad layout to avoid a mix-up. Great Transit Advertising consist of high quality SAV print material for high quality output, final colour (original brand colour) , neat installation, smooth and dent free display area of bus and excellence supervision. Exceptional quality do not just happen, they are carefully designed and planned out so that nothing is left to chance and every variable is considered and calculated accordingly. Transit advertisement traditionally offer brands the opportunity to advertise on city mass transit buses. It is a medium that reaches an economically active market through a high viewership frequency, making it an effective means of communication. However, choosing the right OOH Company for your transit advertisement can seem like a daunting task. Attention to details, speed, careful planning and bottom-line value are core propositions of DU Opensource; which is why agencies like Starcom Media, Posterscope Nigeria, Universal McCann etc and countless direct clients rely on us as their trusted Transit Media Partners TMP. Working with big brands and market leaders means paying extra attention to details. Referral selling is your biggest competitive differentiator! You score every meeting at the level that counts when you receive a referral introduction. Get in early, uncover problems, and your competition won’t know what hit them. Since we are working with a variety of people from different industries and walks of life, we thought of checking if you would like to be part of our referral team. The primary objective of this team is to support each other and assist when we can in sharing referrals and new opportunities to build our businesses. 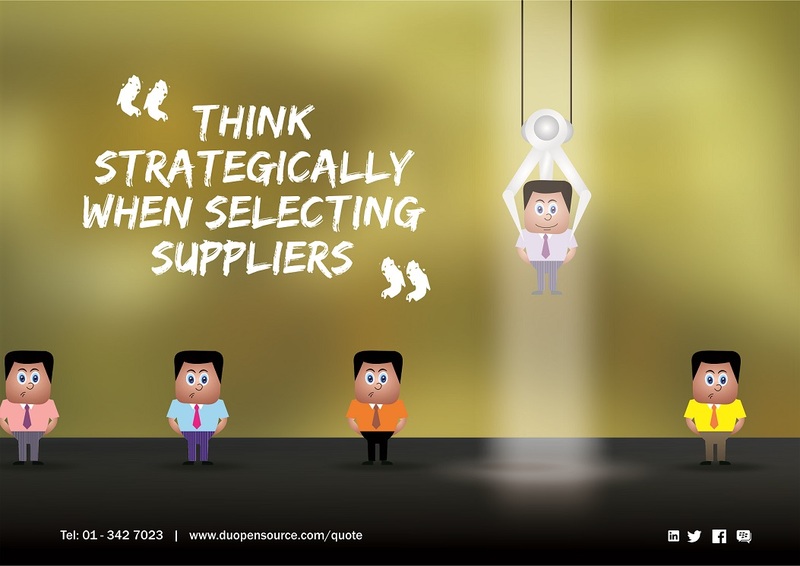 Each member becomes a resource for every other member, not only for providing new prospects but a resource for all our clients who might need or have an interest in our services. If you feel that your services are in alignment with our ideal advertisers and vice versa, we’d be happy to talk with you so that we can learn more about your business and how you would want us to send you the referrals we generate for you. And if you come across someone who is interested in any of the benefits we offer, we would be happy to spend some time talking with them to see if our service is a good fit for them. 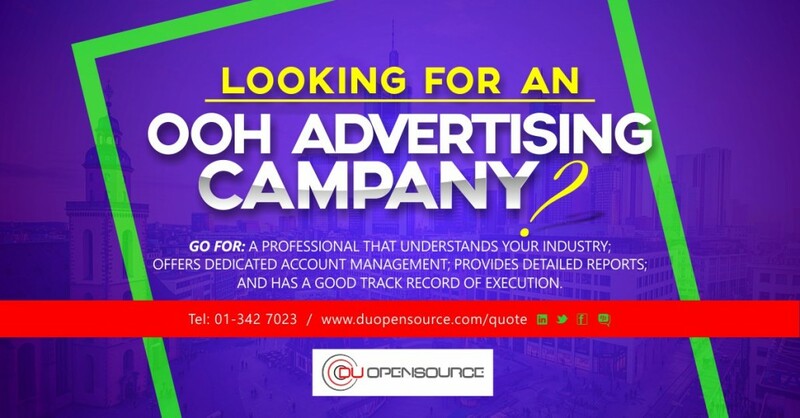 DUopensource is a start-up outdoor advertising media agency managed by young and savvy minds. Our vision is to build innovative OOH media solutions that guaranty Return on Investment for advertisers. Over the years we have been working with different category of brands and advertisers and have successfully delivered their campaign objectives. These results have kept us in business since 2008 till date. Economies and businesses the world over are facing several challenging times including Nigeria. Retail, manufacturing and service industries are complaining of huge drop in footfalls, sales and orders. Others are fighting each other to grab the few buyers still left in the market with declining purchasing power and lack of interest in buying new apartments is forcing cash-strapped real-estate developers to delay projects. 90% of outdoor media spaces are without campaign. Sales teams in many organizations and facing an uncertain future due to steep fall in performance. Most corporate buyers and individual consumers are buying just the essentials and avoiding non-critical purchases in this inflationary and unpredictable scenario. So, how does one sell in such difficult times? Is there a game-plan to beat the recessionary trends in the market? In the booming market companies often ignored customers because there were enough buyers in the market. Service quality was poor. But in a recession suppliers and service providers need to pull up their socks and improve their performance. It’s important to listen to what your customers and consumers are saying, especially your biggest and most loyal customers, and serve them better. Retain your best accounts and you will have a steady revenue base to build upon. Downturns are good times to run loyalty programs that give your customers extra benefits and you additional business – try buy one-get-one free program. Yes, it’s time for everyone in the organization to leave their chairs and go in search of buyers. Make more visits, see more prospects and make your products more visible. Everyone in the organization should operate in the Selling mode – train non-Sales employees on your product portfolio and tell them to get leads for your Sales Team. Can you develop themes that make your products/services indispensable? Can your offerings become part of your customer’s list of essentials? This is not the time to stick to status quo sales strategy. It’s time to try new things, new sales methods to reach as many prospects as possible. It may be smart to find other ways to sell your product. You can work out a deal with another business to promote your products. The Internet is now available as a smart, low-cost way to reach more customers. What is your net-strategy? How good is your presence on the Internet? It’s true that the economic scenario is bleak – but it’s not as if customers have disappeared, they have only become harder to find. You need to widen your net to catch them. Stick to basics! Economic downturns are good times to recalibrate your business objectives and to test your strengths. Improve your Sales Strategy and sharpen the skills of Sales Team because it’s in such times that you need them to perform at the highest potential. 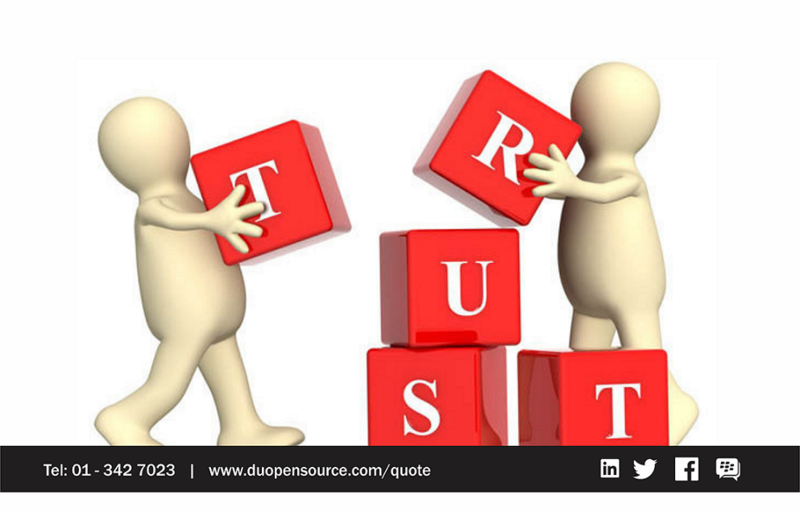 At DU opensource, more than ever before, we deliver speed and value to the bottom-line conscious in our renewed approach to service delivery. Paucity of funds in the economy demand increased value and bottom-line from buyers and sellers alike. Understanding our clients’ deepest felt needs is now a top priority for us and key to understanding the value of what we have to offer. We have embraced a mindset to relentlessly pursue new opportunities, open to new ideas and become experts on what advertisers need and want. As a forward thinking out-of-home (OOH) agency we have been following and monitoring economic and business developments in Nigeria closely. We have adapted new service measures to meet advertisers’ needs with lean resources. The current economic situation in Nigeria provides SMEs with new opportunities in so many areas. During this season, we have had to pause; reviewed, retooled and repositioned our team and service lines to effectively and efficiently deliver unmatched OOH media services that resonates with the needs and costs of advertisers. We believe this is the way to go right now as companies big and small embrace the tough times. Regardless of how bad the economy may seem, people still buy and sell. 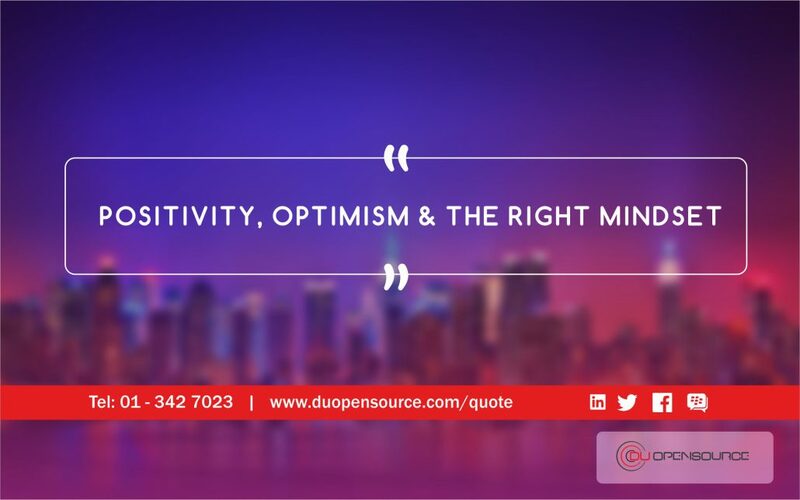 Advertisers still have needs to fill, and DU opensource has got products and services that meet those needs. Our renewed pledge means delivering more impressions, visibility, mileage and value for every kobo spent on OOH media with us. 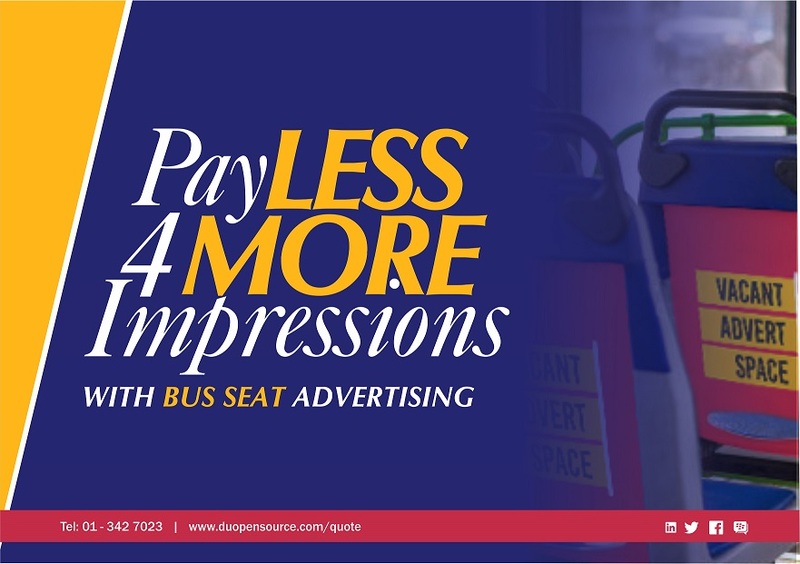 Our direct partnership with media owners gives us unrestricted access to new and refurbished mass transit buses for transit advertising without trip disruptions, distorted or tattered ads. The partnership translates into 30 percent increase in impressions and visibility reaching over 95% of busy on-the-go consumers who now rely mostly on public transports for their daily commuting. An added value for brands and advertisers! Recent findings show an upward surge in passengers commuting by public transports in major commercial cities nationwide due to the recent hike in fuel pump price. A lot of people now prefer public transports instead of driving frequently to cut costs and mitigate the biting economic crunch. The rise in passengers using public transportation means more impressions and increased visibility for brands using the medium for advertising. The benefits and ROI are overwhelming. Obviously the benefits outweighs the cost much less compared to other forms of OOH media. As the economy bites harder and advertisers are cutting advertising budget it is only logical to invest in result oriented and measurable OOH media. Gigantic and iconic media assets are less fancied at the moment due to their premium price tags except for a few “big” brands for strategic reasons. Spectacular billboards, 48 sheets, rooftops, transit media (bus branding) and lamp poles etc. in strategic locations is the way forward for brands with shrinking advertising budget if they must play in the OOH space- where the real game is to remain top on consumer minds. More than ever before, we deliver speed and value to the bottom-line conscious in our renewed approach to service delivery. Paucity of funds in the economy demand increased value and bottom-line from buyers and sellers alike. Prompt payment by advertisers will encourage OOH companies to focus more on delivering value for their clients. Nigeria’s economy in the last one year has recorded many firsts in several areas. The country’s foreign reserves have fallen to less than $27 billion, the lowest since 2005. The International Monetary Fund (IMF) expects economic growth of 2.3 percent this year, the weakest in a decade. Inflation jumped to 12.8 percent in March, while the unemployment rate entered double digits of 10.4 percent. The output and result are the massive job losses being recorded on daily basis while the labour market continues to soar with unemployed Nigerians. The percentage of poor Nigerians continue to rise steadily. Businesses, big and small are groaning under economic crunch and losses. Outdoor advertising practitioners for instance appear to be the worst hit. Practitioners has been going through excruciating and unbearable experiences for sometime. The practitioners under the aegis of Outdoor Advertising Association of Nigeria (OAAN) among other things decried the inability of member companies and clients to access foreign exchange to bring in raw materials for production. President of the Association, Babtunde Adedoyin complained of high rate of charges by states on both redundant and occupied billboards. 70 percent of our billboards are redundant nationwide, he said. Clients are cutting budgets. Some are not sure of what they want to do this year and some can’t even access foreign exchange to bring in raw material. Adedoyin also noted that the present economic situation is forcing clients to cut their advertising budget which has taken toll on the member companies. The slow pace of the economy was partly blamed on the delay in signing the 2016 budget into law. 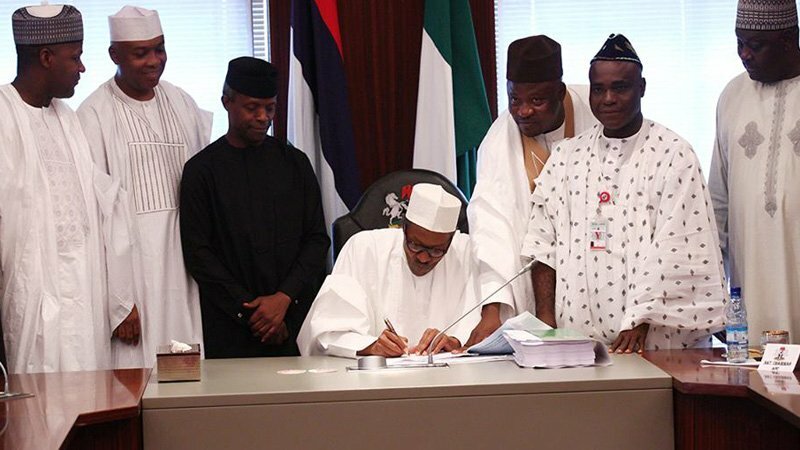 The budget was finally signed on 6th May, 2016 by President Buhari. “The signing of the budget today will trigger concerted efforts to reflate the Nigerian economy, a key element of which is an immediate injection of N350bn into the economy by way of capital projects. To illustrate our renewed commitment to infrastructural development, the 2016 budget allocates over N200bn to road construction as against a paltry N18bn allocated for same purpose in the 2015 budget” stated President Buhari. Meanwhile the news that the President has signed the 2016 into law buoyed activities on the Nigerian Stock Exchange (NSE) with the market indices growing by 0.54 per cent after declining for two consecutive days. The Nigeria Stock Exchange (NSE) main index has lost 10.75 percent this year, the worst among regional peers. Beyond signing the 2016 budget into law, Nigeria needs urgent policy adjustment to deal with external and domestic shocks, according to the IMF. What are your thoughts on the state of the economy? 1. What industries do you work in? Every industry is different. You want to make sure that the OOH Company you go with understands your industry and the demographic you are trying to attract. Going with an agency that has experience in your industry means less time will be spent learning your business and more time will be spent executing your campaigns. It also reduces the occurrence of mistakes. 2. How do you report our growth? As simple as it sounds, this question is rarely asked. Reporting is vital to understanding the progress (or otherwise) of any advertising campaign. You will want to make sure that the OOH company you choose sets up monthly or weekly “check ins” to report “Proof of Performance” on the status of each campaign. While this might seem time consuming, it is necessary. These reports will show you exactly what is working and what isn’t so that you know the true value that the OOH Company you hired is providing. 3. Who will manage our account? Structure is very important in any client-agency relationship. The OOH agency you choose should have a dedicated team lead that manages your account. That way, you, as the client, would not need to call multiple people to get answers. This person is usually called the Account Manager or Client Service Executive (CSE). He/she will be the person interfacing with the client on behalf of the OOH agency and the team. It is the responsibility of the CSE to maintain and improve relationship between the client and the OOH agency. This makes communication between both parties as efficient as possible. It is usually standard to ask for case studies or job references when choosing an OOH company. However, you should take that another step by asking the OOH Company to walk you through their entire process and their media assets, state or national permit to practice or manage outdoor advertising agency. Reputable OOH agencies with exceptional track records of results won’t hesitate to show you how they have helped brands (#DUBrandStories) increase their market share. 5. Are they professionals or Quacks? Media assets own and manage by the agency..
Audited financial reports and tax clearance certificates as a responsible OOH agency. For other enquiries: Talk to a member of the DU opensource team by calling any of the following numbers +234-1-342 7023, 0803 916 3770, 0808 559 7663 or click on the button to drop a message.